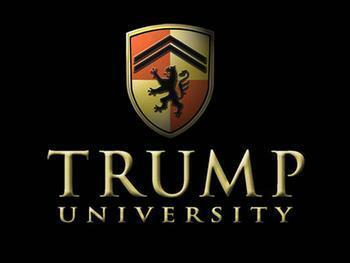 U.S. District Judge Gonzalo Curiel signed off Monday on a $25 million settlement in lawsuits filed by attendees of a real estate seminar called Trump University. The plaintiffs claimed they had been promised that the courses would provide them with the knowledge they needed to make huge returns in real estate. However, they said that most of the classes were comprised primarily of sales pitches for additional packages. The students claimed they were defrauded and bilked out of millions of dollars by the program. New York Attorney General Eric T. Schneiderman said the settlement will give “victims of Donald Trump’s fraudulent university” the relief they deserve. “We are particularly pleased that the final settlement we negotiated with class counsel ensures that members of the class will receive an even higher settlement than anyone originally anticipated,” Schneiderman said in a statement. "This settlement marked a stunning reversal by President Trump, who for years refused to compensate the victims of his sham university," he added. "My office won't hesitate to hold those who commit fraud accountable, no matter how rich or powerful they may be." President Trump originally agreed to the settlement in November 2016, days after winning the presidential election. The settlement was approved a year ago by U.S. District Judge Gonzalo Curiel, but it hit a roadblock when a former Trump University student challenged the agreement. Sherri Simpson filed an objection to the settlement, saying she wanted to file her own lawsuit in hopes of recouping more money and getting then-candidate Trump to apologize. A federal appeals court rejected Simpson’s challenge, ruling that she did not have the right to opt out of the appeal under the terms of the class-action suit. Judge Curiel approved the settlement once Simpson agreed to drop further appeals. About 8,000 former Trump U. attendees are eligible for a refund of up to 90 percent of the money they spent on courses.